​We are a nonprofit mobile art room created in a refurbished vintage trailer that travels to low-income neighborhoods to host free arts classes for kids in Central Kentucky! 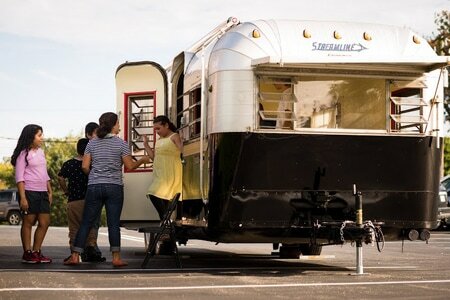 ​We're getting a second trailer and need your help to renovate it!! In our first two years we served 7,489 children and to date we have served over 10,000! We often get more requests than we can accommodate and one of the biggest barriers we face to fulfilling those requests is only having one trailer. Or, at least, that WAS barrier. NOT any more!!! We have found our next trailer and need your help to renovate it. We are currently raising funds that will go towards helping transform this 1976 Airstream into a fun, inviting, mindblowing mobile art room for low-income children. We are so excited to be growing in this way as having two trailers we transport will dramatically increase the amount of children we can serve! ...to announce that both of our Spring and Summer 2019 schedule is officially totally booked!! Spring begins the core of our programming begins with weekly visits to schools such as Paris Independent Elementary followed later by other after-school programs like William Wells Brown Elementary, the Woodhill Community Center, Lansdowne Elementary, All God's Children, Art on High, Crawford Middle School, and Arlington Elementary. On the weekends we have a ton of fun events within our mission planned and also a ton of birthday parties booked to support our mission. In the summer time we offer more pop-up style activities with lots of visits to different neighborhoods, many outside of Lexington including trips to Owen County, McCreary County, Pendleton County, and much more! 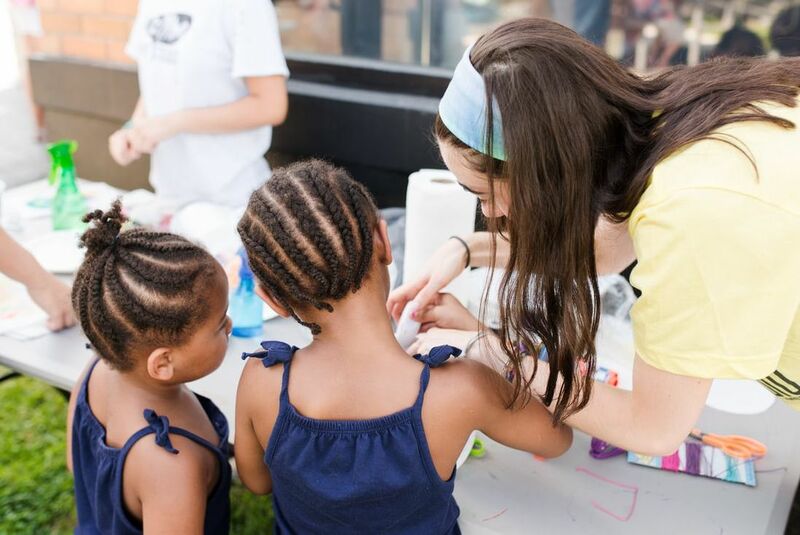 ​We identify low income communities whose kids would benefit from a creative outlet. 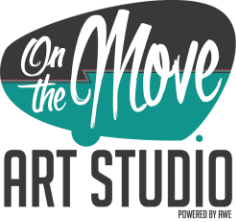 ﻿​We eliminate the hurdle of transportation by meeting them in their own neighborhood with our fully mobile art classroom. 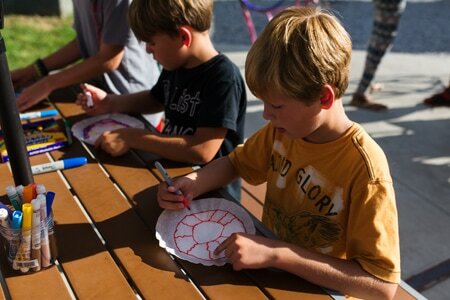 ​We help children thrive through the power of creative arts classes and a consistent presence.